The use of youth and youth organizations to promote the ideals of the North Korean system, while indoctrinating future generations, is a fascinating part of what has created a stable regime. North Korea is certainly not the first country to use youth in this way, nor the first to create compulsory youth groups. However, this particular type of organization and implementation is distinctly North Korean, and provides a greater understanding of the maintenance of repression in the country. The organization of young people is done in such a way that the indoctrination of the population is all a part of growing up. 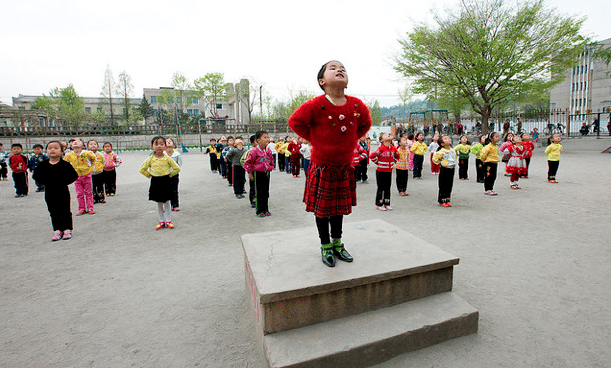 Children receive much of their education through the North Korean school system. However, it is also mandatory for them to join the Young Pioneer Corps at age 9 and move on to the Kim Il Sung Socialist Youth League between the ages of 14 and 16. 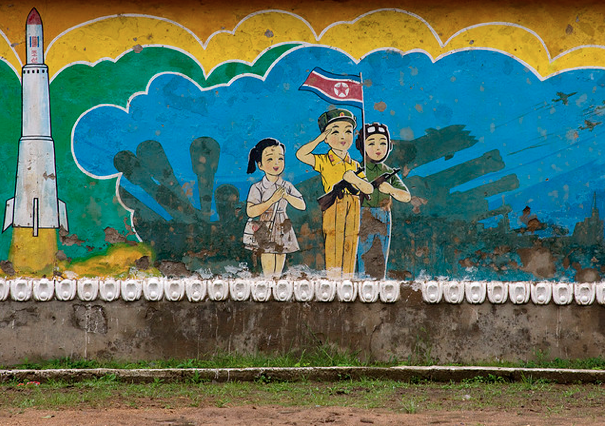 Helen Louise Hunter explains in North Korea: A Country Study that the day a child becomes a Young Pioneer is the happiest day of childhood for many. Not only is there a celebration at school attended by parents, the children also receive a red scarf and gifts from their families – a distinct change from the typically modest existence of North Koreans. The Young Pioneers and Socialist Youth League are part of the larger Korean Children’s Union, which is all-encompassing in the indoctrination of its members. However, the way the system is set up, which undoubtedly trains young North Koreans to feel like they are part of improving a thriving nation, is a fascinating example of the powerful strategy and rhetoric employed by Pyongyang to enforce, strengthen and maintain support. Formal education is simple means of doing just that. In a column for NK News, Monique Macias explained that her experience of education in North Korea was centered around the Korean War. Students are, she said, taught that South Korea was the aggressor of the Korean War and taught that Americans are “evil and barbaric” in the “atrocities” they committed during the war. 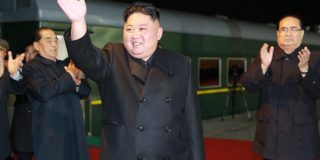 Based on the abundance of anti-American and South Korean materials used throughout childhood and into wider society, it is clear that North Korean elite can be categorized within Lankford’s assertion. If we consider formal education a means of teaching North Korean children the official history of the regime and their place in it, youth movements and participation in the Young Pioneers create an all-encompassing physical and psychological immersion into the role of good citizens. Articles like this do more than just promote the skills of the youth; they link their actions to the strength of the country and its past and continued prosperity, binding youth, success and prosperity, leaving little doubt in the minds of young people what they must do. Just as the rhetoric surrounding youth focuses on unity, so too does the use of events. These events, whether local activities or larger marches, parades and performances, all seek to indoctrinate young people through fun, music and inclusion. “Given the strong evidence of music’s role as a source of social bonding (across cultures), it makes sense that those seeking to disseminate radical ideology would go to great lengths to develop a music culture,” Johnathan Pieslak, an expert in music and extremist culture, told NK News. In KCNA reports of mass celebrations like Youth Day, music is mentioned often and seems to play an integral part in a number of the Youth Day events. “Music always plays an important role in all mass movements, because it ties the people together and submerges the individual,” Kater said. Songs with titles such as We are Successors of the Revolution, March of Korean Youth and Let’s Defend the Party Central Committee with our Lives give a sense of this patriotic, collective rhetoric, clearly promoting these values through song. It is not only during large Youth Day events that music is used in this way. Young Pioneer groups across North Korea put on smaller pageants which are also televised and seen again and again. Another song, We Grow as We Learn, puts this idea into practice. This piece again promotes the Dear Leader and the regime, but also communicates to the children that they are a group of “friends,” “brothers and sisters” and “a new generation.” To be part of this group, they have to do as the others do and perform what they are told to. To ultimately explain the effect the system has in indoctrinating young North Koreans, turn to two important points raised. The first is the importance placed on education in a culture that gives great value to performing well academically. “When people are given free training and education, they typically feel very empowered and take personal pride in being smarter or stronger than they ever were before,” Lankford said. This is part of a wider social imperative of unity. 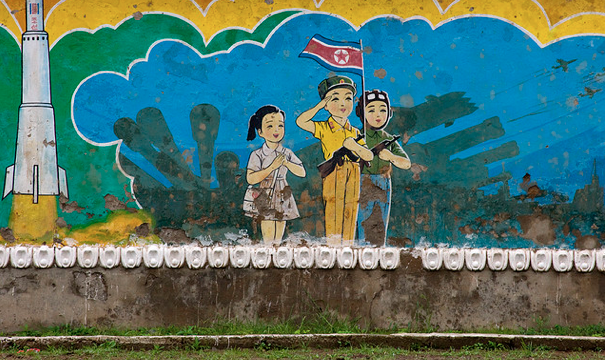 Without presenting any other options, the systematic indoctrination of North Korean youth is certain to succeed. It is built into education; it is also built into society itself. Subscribe to read the remaining 1523 words of this article.